There are very likely hundreds of different recipes for Chili. There are even a few dozen recipes called Confetti Chili. But I am presenting here a special Confetti Chili to be served on the day of The Big Game. The character of this chili is a mild taste, with a little boost of healthy, courtesy of 2 cups of diced vegetables. Like all chilis, the heat can be raised by a few swaps in the ingredient list, and by adding a favorite hot sauce as part of the toppings! 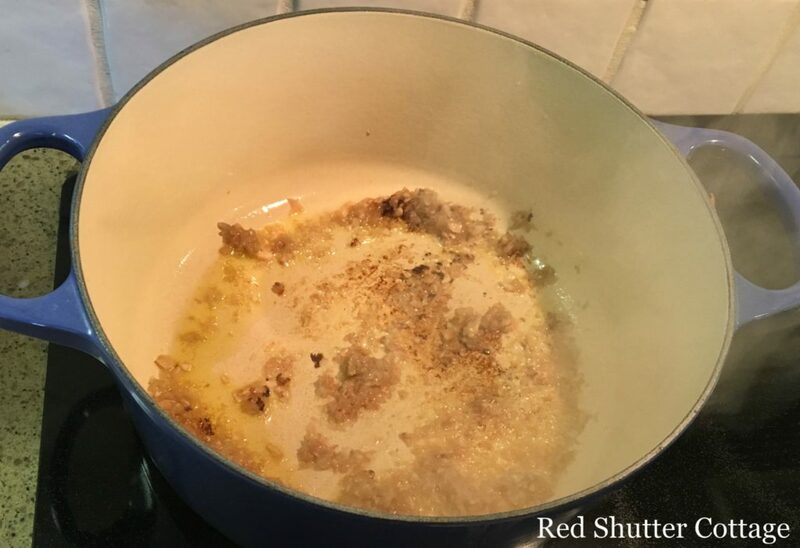 Heat oil in a large pot or Dutch oven over moderate heat. Add onion and sauté 5-7 minutes, or until tender. I already had an onion with some garlic mixed in, all chopped and ready to go. Read my post about that here! 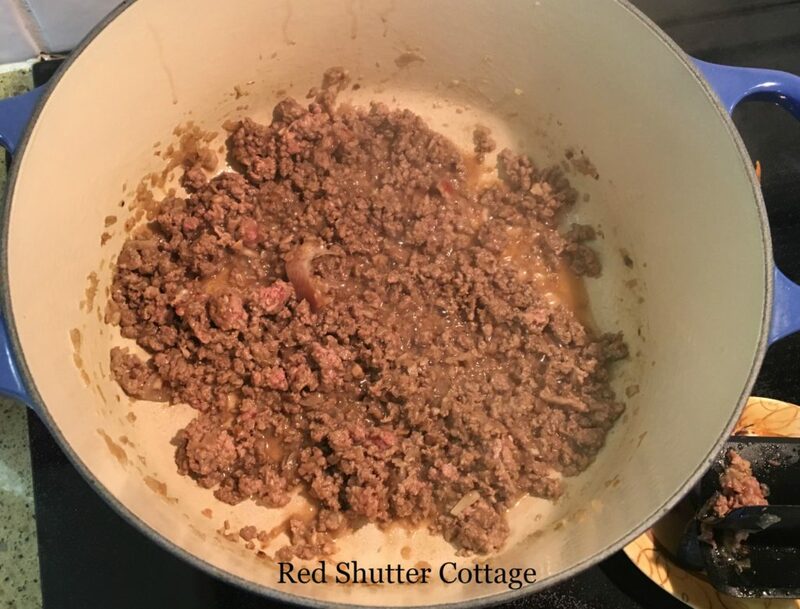 Add ground beef, increase the heat to medium-high and cook, stirring frequently for 8-10 minutes, until no trace of pink remains. Drain off any fat. 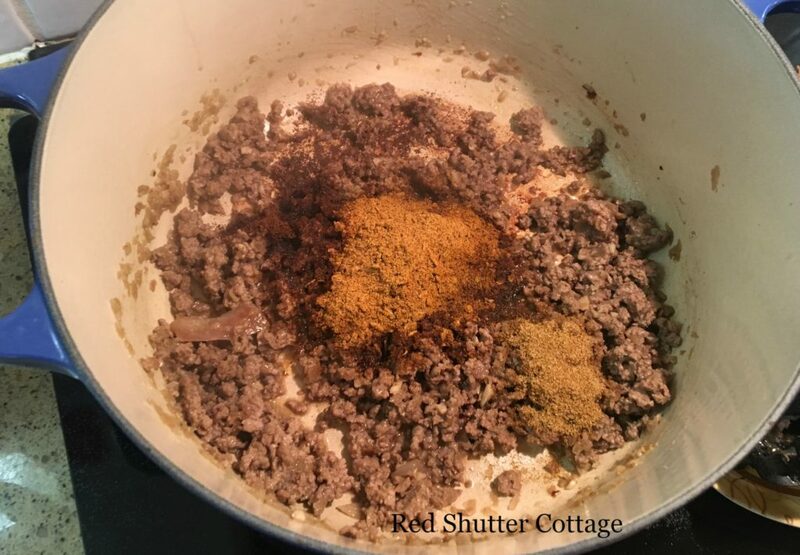 Add the package of chili seasoning, the cumin, and the ground cloves. Stir the seasonings into the meat, and let cook for 2 minutes. Add celery and chopped vegetables. Reduce heat to medium and cook, stirring occasionally, until vegetables are soft, about 7 minutes. Add diced tomatoes, beans, tomato soup, and diced green chiles. Lower the heat, cover, and let simmer for 1-2 hours (more if you have the time), stirring occasionally. Makes 6 servings, so if you are expecting a bigger crowd, double the recipe. Adapted from Eating Thin for Life, Anne M. Fletcher, M.S., R.D. Serve the chili with a variety of options: chopped onion, sliced avocado, sour cream, shredded cheese, crumbled tortilla chips. 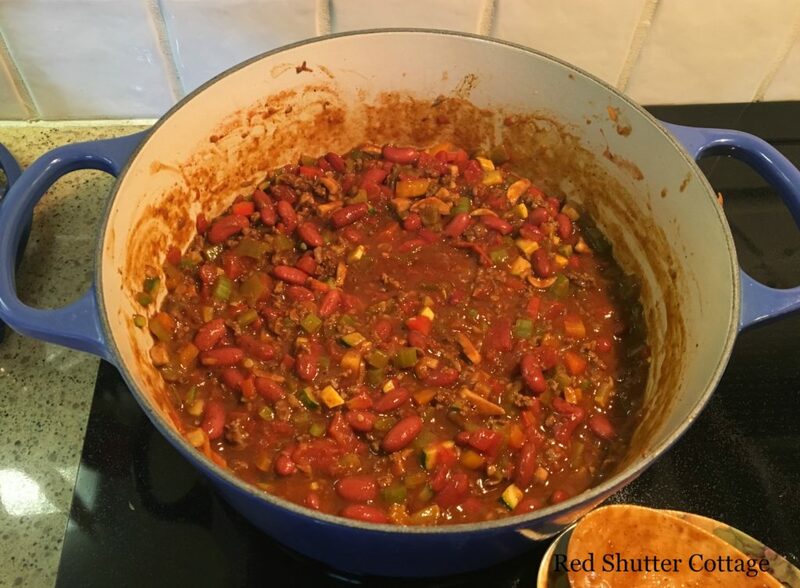 As with all chili recipes, this one is easily adaptable to different tastes and preferences for heat. 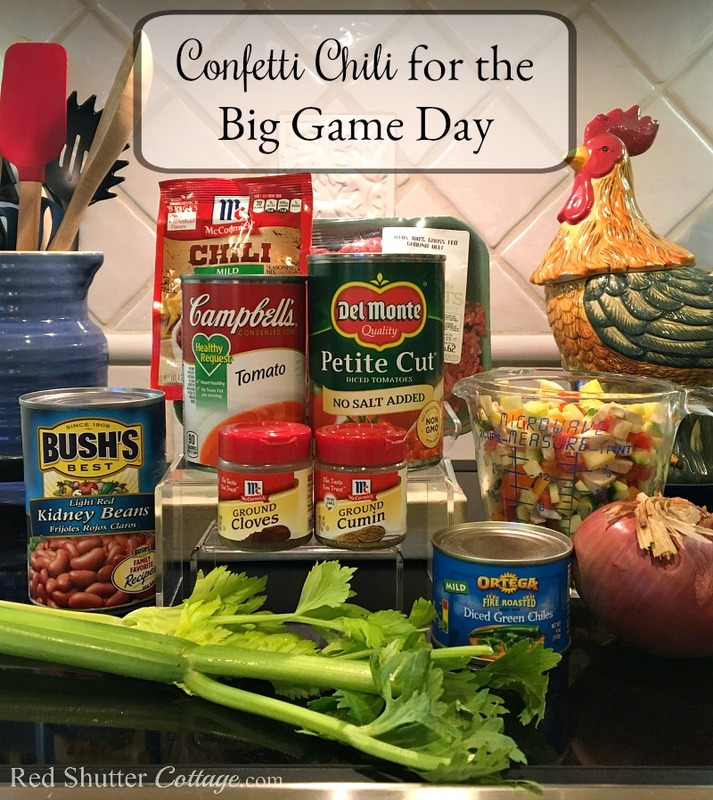 Today I am joining with a few other bloggers to bring you ideas, recipes and fun ways to celebrate and enjoy the Big Game! Be sure to visit these other blogs for information, inspiration and delicious recipes for the Big Game Day! My Family Thyme has some awesome Chicken Nachos. All her recipes are amazing! 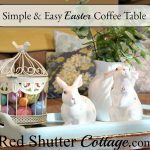 Kristy Mastrandonas is sharing a super cute idea for a host or hostess gift. Find it here! Momma Can is sharing some recipes to use for your Big Game party. Find the recipe links here. 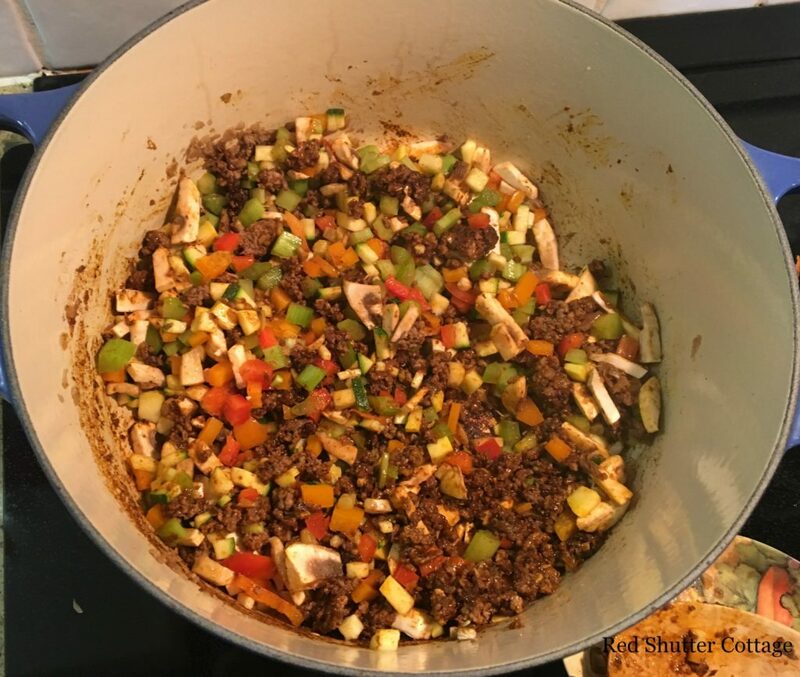 Here is a recipe for Confetti Chili that is a great dish to serve on Big Game Day, or any other day when only chili will do! This looks like a great recipe for game day! 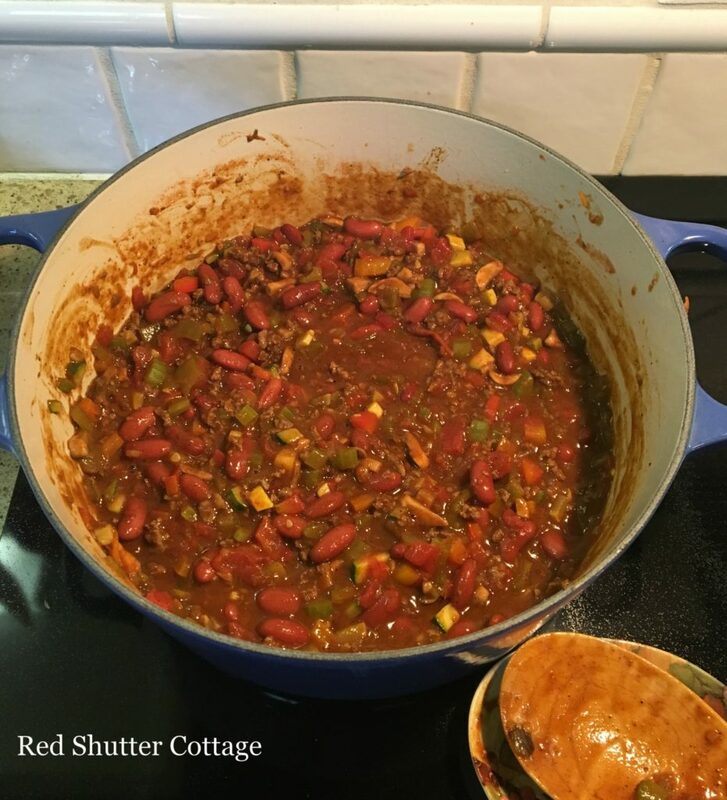 My family loves chili and I look forward to enjoying this recipe with them. Thank you so much for sharing! I never heard of confetti chili, but I think my mother-in-law has been making a version of this her whole life. 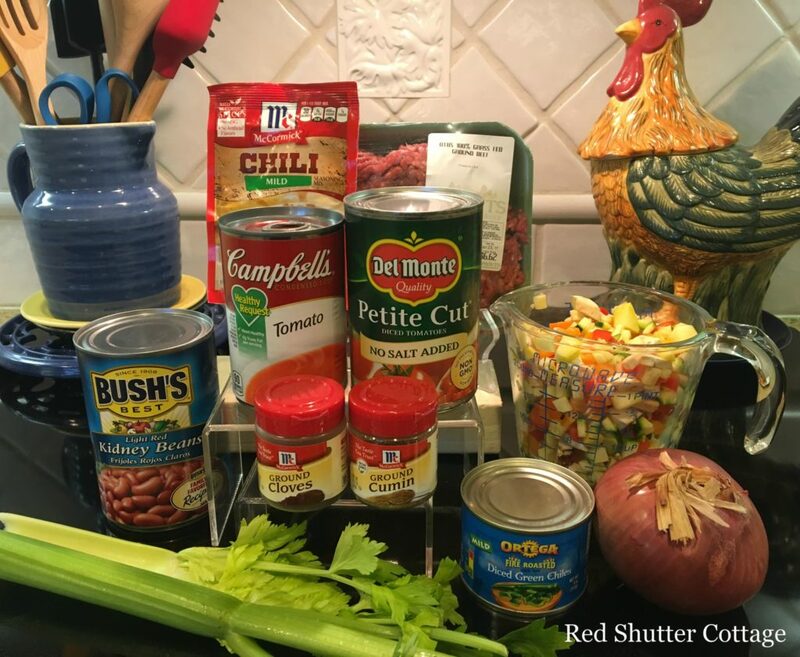 That’s a great idea adding veggies to chili- take something good and make it even better! Mmmm,,,,,,love chili! And your recipe looks so yummy! I’ve never heard of Confetti Chili, but just might have to try this out soon! Kristy (my apologies for my delay in responding) I just decided to call if Confetti Chili, because of all the colors from the vegetables! I hope you enjoy it !! This will stick to the bones. I can certainly see a bunch of young football players cheering their mentors on while eating bowls and bowls of this recipe. That chili looks great! I’d love for you to share over at a new party called Let’s Party https://themarkandjanshow.com/2018/01/02/lets-party-5/… look forward to seeing you there! Thank you for the invitation, Jan! I will definitely come on over!